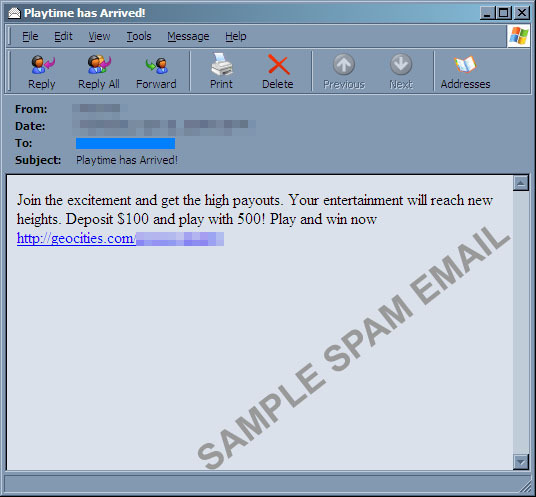 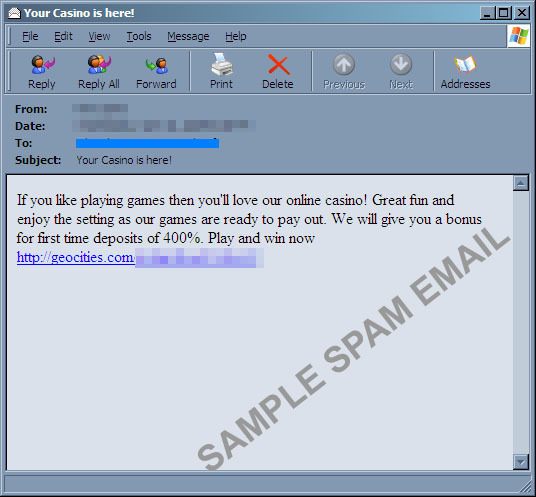 Deviating from Conficker/Downad update and jigsaw puzzle menace, Waledac updated its spam emails and is now spamming online casino advertisements. 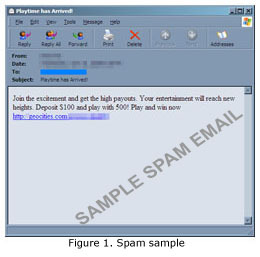 The spammed email contains a URL link to a Yahoo! 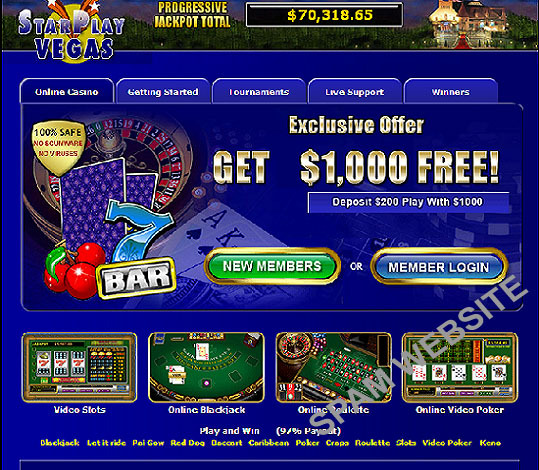 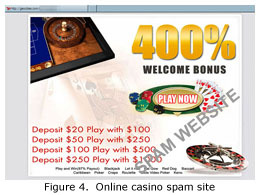 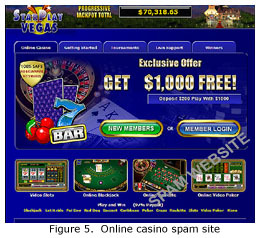 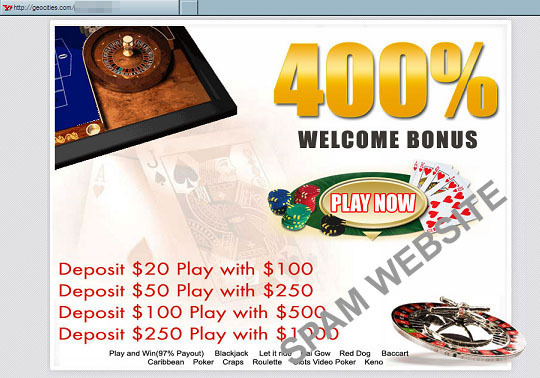 Geocities web page which is shown in Figure 4, and when the link “Play now” is clicked, it shows a casino related image ad as shown in Figure 5. 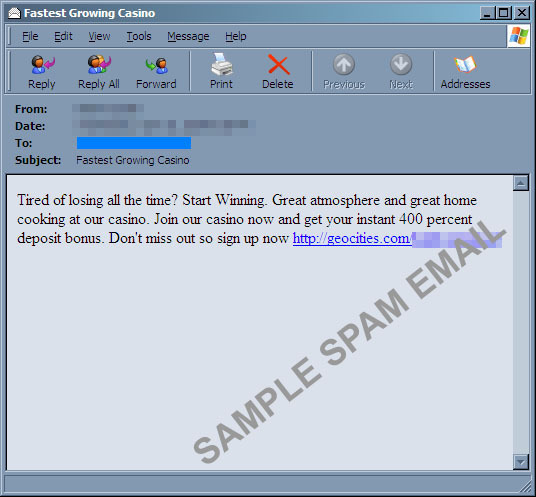 There is no activity seen where Waledac is seeding URLs that links to a new Waledac binary for this specific spam run, but our radars are actively monitoring for this event. 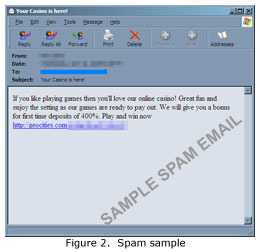 The following spam emails however, are now blocked by the Smart Protection Network.